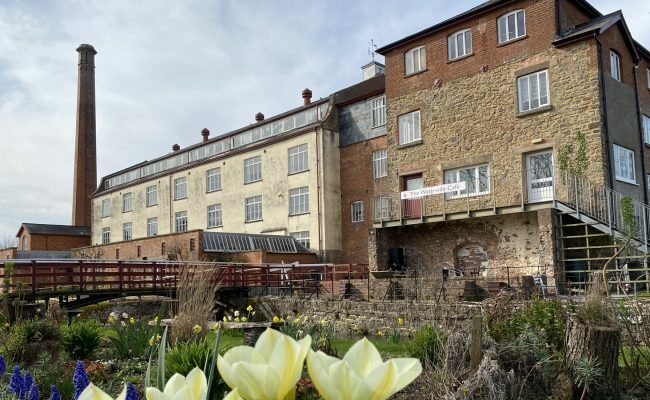 Tucked away in the Devon countryside, yet only 5 minutes from the M5, Coldharbour Mill is one of the last surviving Victorian woolen mills in daily production and open to the public. 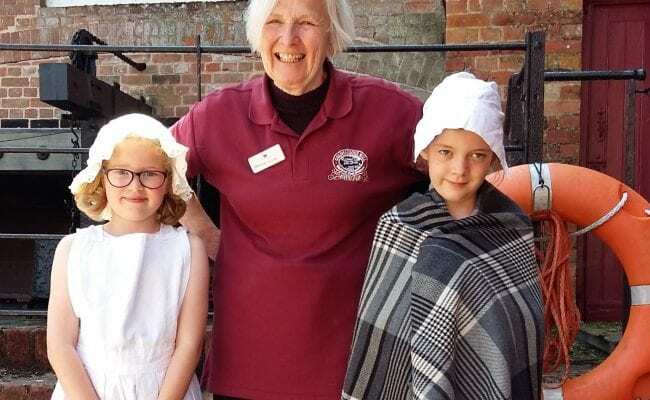 The Mill appeals has something for everyone – the heritage looms, steam engines and waterwheel brings not only brings to life the impact of the Industrial Revolution but also how it changed local employment and brought the railway to the Culm Valley. 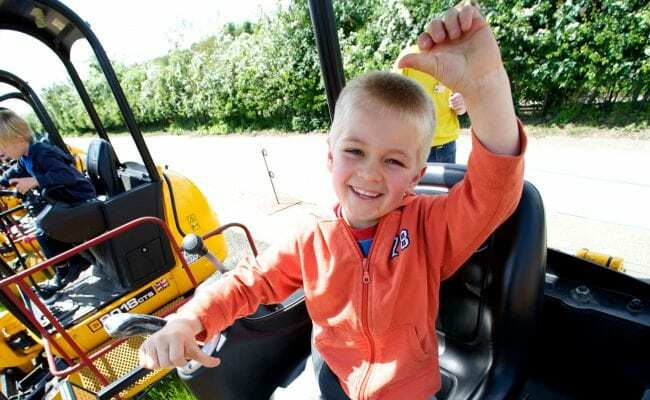 There is a childrens trail, Victorian dressing up and a new outdoor play area. 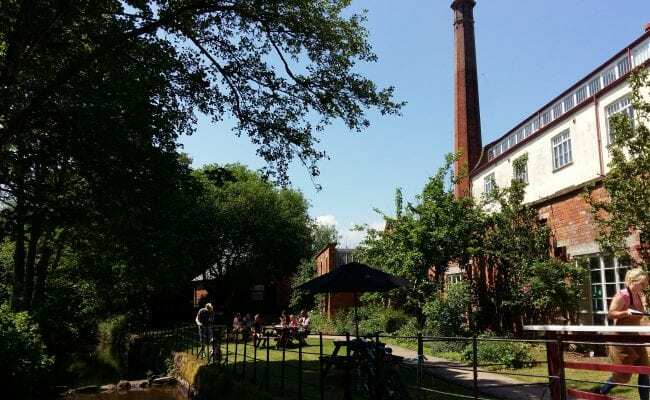 For crafters the Mill produced knitting yarn and textiles can be seen being made then bought in the factory shop – all rounded off with a visit to our riverside café run by local coffee roasters Braziers. We visited on a special exhibition day, we’ve not been on a steam-up day but would like to. We were shown round on a guided tour and it was fascinating to learn the way in which raw fleece is spun into beautifully dyed yarn and see some examples of cloth at the end of it. We really enjoyed the museum, learning about military uniform for example. It is lovely to walk along the river from Uffculme to Culmstock. Uffculme is about 15 minutes away from accommodation at Halsbeer Farm and Blackdown Yurts. We visited the Mill quite late in the day and there was only one other visitor so we effectively had a personal tour of the Mill by a highly engaging and very enthusiastic volunteer guide. 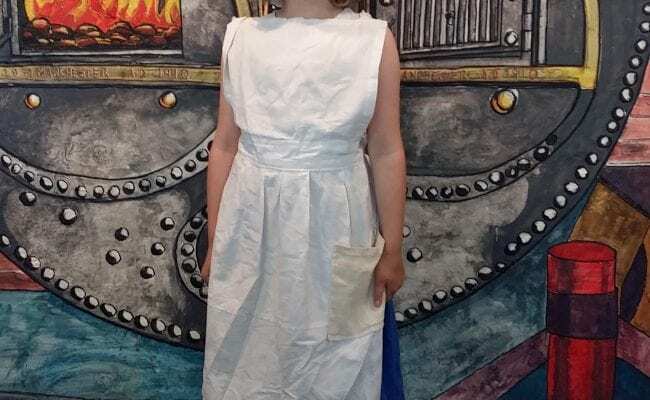 I didn’t catch her name but her love of the Mill, its history and the machinery was evident and she certainly managed to get my 13 year old son interested in the spinning and weaving process. 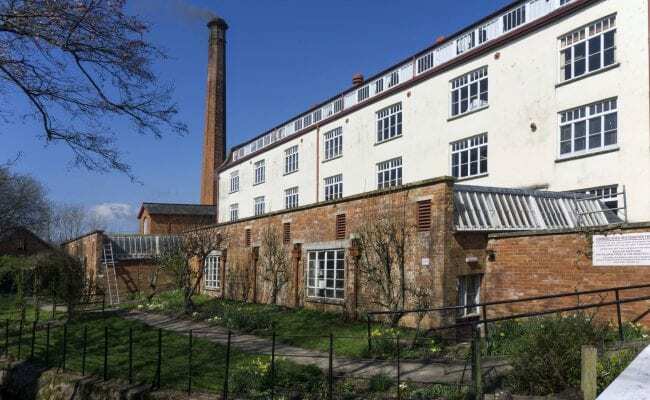 The Mill ceased working in 1981 after over 200 years producing wool and cloth and the various carding, spinning and weaving machines date from the late 19th and 20th centuries. All in all a highly informative visit – we are very glad we went! Of great interest not just to those who love industrial history but also to craftspeople. 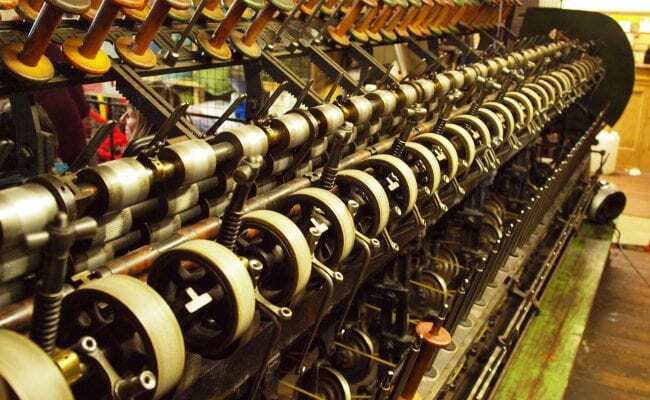 So interesting to learn about the process of making woollen yarn. Good explanations in information boards but a real bonus to be taken round as well, even though I was one of a handful of visitors at the time. Clearly Coldharbour attracts passionate staff and volunteers, and this creates a lovely atmosphere. Gorgeous stock in the shop. New café had just opened and was excellent. 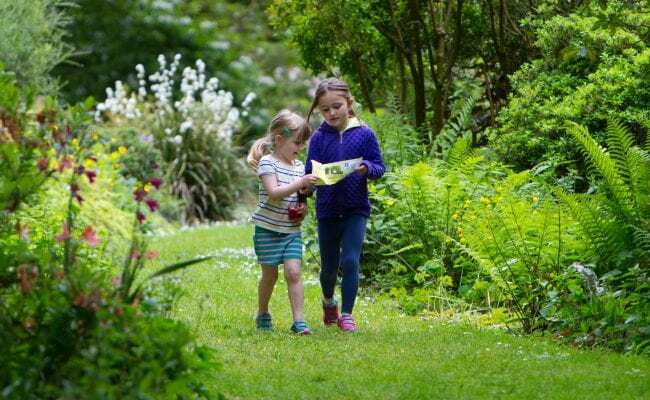 Very quick and easy to get to from the M5 – a great place to stop for a fascinating break.